It is the year 2014, mankind has come a long way from being a primitive, crude beast, to a sophisticated and developed species. Our technology continues to progress exponentially as our kind’s intelligence grows and spreads all over the globe. And yet, perhaps it would have been better if we had stayed primitive; better for the globe that supports us. As the dominance of the human race has been ever more firmly established as history progresses, our recklessness and disregard has steadily eaten at the natural order of things and disturbed a delicate equilibrium. We have, it is sad to say, had a disastrous effect on the planet. It can be argued that almost all the environmental problems we face today stem from the fact that humans have overrun the earth. Over population has displaced a lot of wildlife, led to deforestation and over-exploitation of resources, along with many other problems. In 1950 global population was 2,555,982,611 people. Today, in 2014, the population is estimated to be around 7.4 billion people! That’s a massive jump, and one that is putting a heavy strain on the environment. For various reasons we humans have displaced many species from their habitats, and along with hunting and poaching, have reduced them to extinction. The true impact of our actions however, is not realized. When one species is completely eradicated, it has a domino effect that unbalances the entire ecosystem. All the species that were in some way or the other dependant on the now-extinct species will have to adapt extremely quickly (which is nigh impossible most of the time) or die out themselves. The information that was contained in the genes of those species could have very well lead to a discovery that could have revolutionized the world, but now that they are lost, that information too is lost to us forever. The world has reached a stage which is termed by some to be the 6th Extinction. The planet will take millions of years to recover from the effects of this catastrophic development. E.O. Wilson, an American biologist, warned us that the thing future generations will least forgive us for is the destruction of Earth’s biodiversity. Like to eat fish and other seafood? You might want to reconsider how much or how often you should consume it. 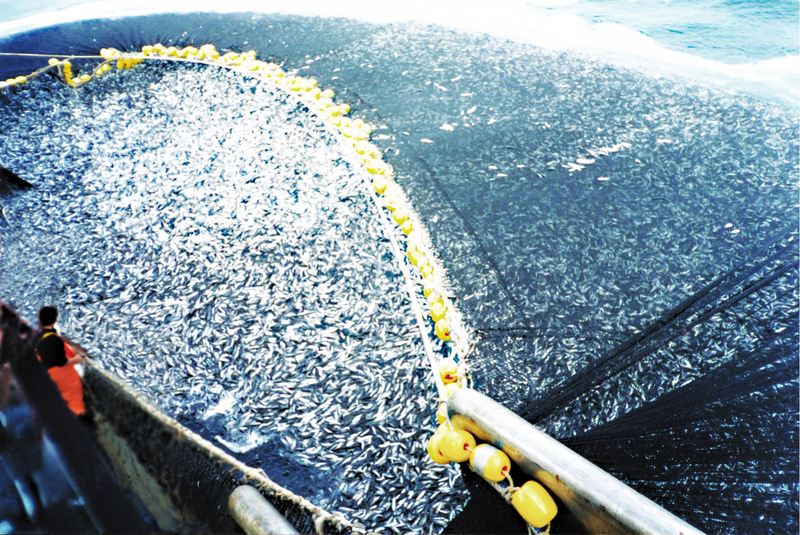 Some estimates say that by the year 2050 there will be no fish left in the sea! At all! Fishing has now become so rampant that we are far outpacing the various species of fish’ ability to reproduce, leading to a drastic and dangerous decline in the number of fish in the sea. All species of fish are at risk. Even though the trade of certain fish products, such as whale meat, are banned they still occur on the black market in ridiculously large amounts, and both the governments and people are just too callous to properly crack down on this trade. Whaling continues to be a serious concern in Japan even today. 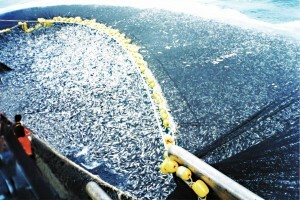 The collapse of the Atlantic Cod Fishery is an example of shameless human over-exploitation of natural resources. 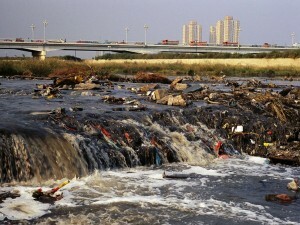 Mass production and consumption have led to garbage and toxins being dumped in colossal amounts. 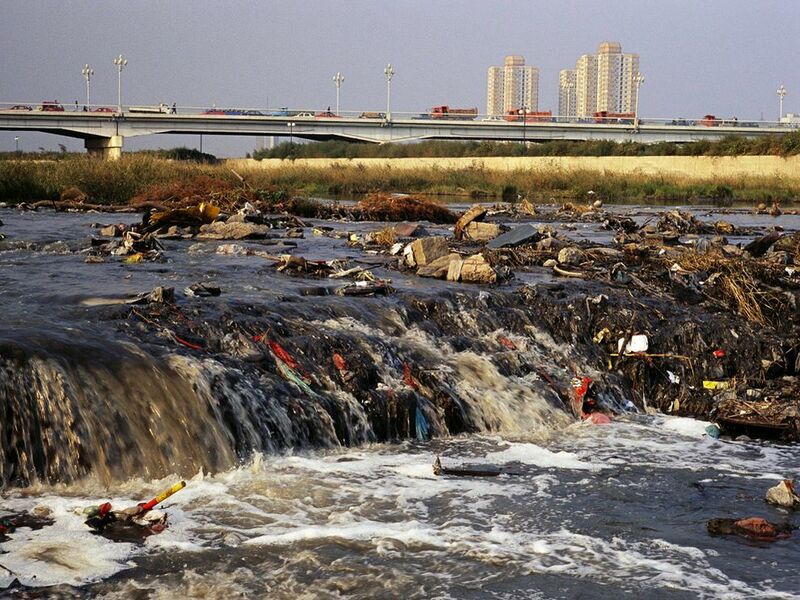 Air, water and soil pollution have all reached dangerous levels and are severely affecting the environment. It is unbalancing the ratio of gases in the air, the pH value of the soil, and acidifying the oceans. These toxins also find their way into the food chain, and many a species have suffered for it. Most of these take millions of years to degrade, and produce toxic by-products when they do, resulting in accumulation and poisoning. All this pollution is a result of our modern lifestyle. 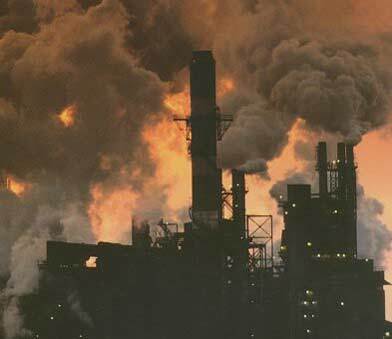 The most common pollutants are heavy metals, nitrates, plastics and carbon dioxide. The Ozone Layer blocks harmful U.V. rays that are emitted from the sun. In recent times ‘holes’ in the ozone layer have been observed, the largest one residing over the Antarctic, and have become a cause of great concern among environmentalists and scientists. It has been established that chemicals such as chlorofluorocarbons (CFCs) are responsible for these holes. These chemicals are, as expected, not naturally occurring, but are man-made and are most commonly used in aerosol sprays. One atom of chlorine has the ability to destroy 100,000 ozone molecules according to the E.P.A. With a massive growth in human population there has been an increasing scarcity of space and resources. In search of space and resources we have encroached into many wild territories and driven the local species out. Their forest land is then slashed, burned and exploited till there is nothing left of it except a dry wasteland and the husks of what once might have been a lush green home to innumerable species. The destruction of their home also has a negative side effect for us. 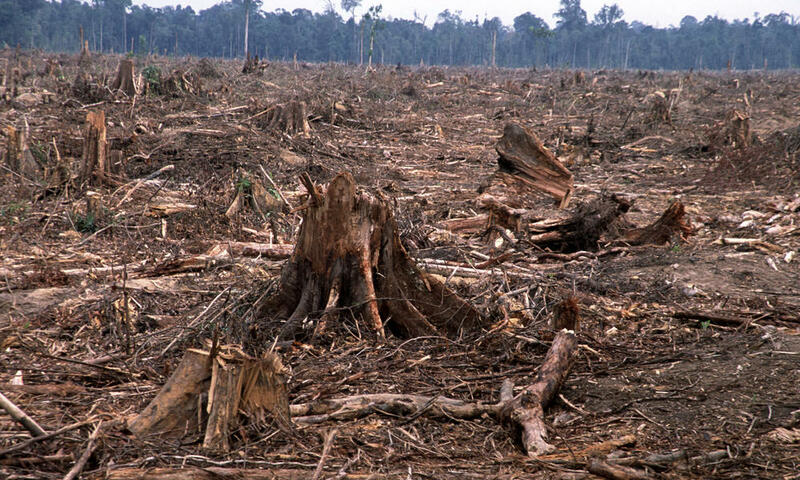 It is said that since 1990, half of the world’s rainforests have been destroyed! The earth is losing its green lung, and the very air that keeps us alive, may soon be a lot harder to find. The rise in CO2 emissions have corresponded to a rise in ocean acidity. The ocean absorbs 25% of these emissions, and the CO2 combines with various elements in the water to produce acids such as carbolic acid. Over the past 250 years, ocean acidity has risen by 30%! And if this is not a staggering statistic, it is said that the acidity will increase by 150% by the year 2100. This is having a negative effect on marine plant and animal species, they being unable to adapt to such a drastic change. Many of these species are dying out as a result. The acids can even dissolve the skeletons of creatures such as shellfish and plankton. Plankton sits right at the bottom of the food chain, and the entire food chain is reeling because of their reduced numbers. Such a change in marine climate hasn’t been seen for millions of years. A few experts predict that in the future water will be treated as a commodity, and people may even fight wars over water sources. The reason water is so scarce is because many sources have been contaminated by industrial chemicals, making them unfit to drink or even bathe with. Another key reason for the scarcity of water is, as mentioned earlier in this article, over population. Already one third of the total population of the world has inadequate access to fresh water. By 2050 that number is expected to rise to two thirds! Although there are some scientists that say human activities are not the main cause for climate change, the over-whelming majority believe that humans are responsible for global warming. Out of the 10 topics addressed here, this is by far the most controversial and political. Global warming is altering the weather structure all over the world, some places more than others. It is having disastrous effects on both plant and animal life because they are unable to adapt so fast to the changing environment. Today, global warming has already reached a stage where we cannot make things as they were before the crisis. The best we can do is to adopt environmentally friendly goods and use eco-fuels and renewable energy. The conversion of atmospheric nitrogen to reactive forms such as nitrates has been used for the production of fertilizers mainly, and has greatly benefited humans. However, the impact we have caused in the change of the nitrogen cycle is not well known, but it does have a negative effect. Excess nitrates run of from the soil during irrigation and rains and accumulate in nearby water sources. This boosts the growth of marine plants, and thus reduces the oxygen capacity of water, making it unable to support marine life. This effect is known as Eutrophication. It affects phytoplankton, which is responsible for producing most of the oxygen in the air. Although only 10 major problems are addressed here, it doesn’t mean there aren’t more. However, they do seem to be the most pressing issues, and we will have to confront them to continue living on this planet.